Departures T shirts for sale! Downriver Dead Men Go (DDMG) is a post prog band from Leiden, the Netherlands, and started in 2010 as a spin-off of the alternative rock band Caitlin. Mid 2015 the debut album Tides was released. The critically acclaimed album has a mesmerising, atmospheric, melancholic sound. Early 2016 DDMG signs a record deal with Freia Music for the worldwide distribution and promotion of Tides. DDMG has toured the Netherlands to promote their album. A live performance of DDMG wraps you in a warm blanket of melancholia. The current line-up of DDMG is: Gerrit Koekebakker (vocals/guitars), Michel Varkevisser (guitars/backing vocals), Menno Kolk (bass guitar), Marcel Heijnen (drums) en Remco den Hollander (keys). In March 2018 DDMG released their second album titled ‘Departures’. The album covers the theme of ‘loss’ and comprises a dynamic set of songs, ranging from post-rock to touches of prog and dark wave. Throughout the album, the DDMG signature that was so characteristic on the first album, can be heard. Ambient, melancholic songs with some additional ingredients added by guest musicians. Once again the album was released under Freia Music. OOR: (NL) "Het best bewaarde progrock-geheim van Nederland komt uit Leiden. Alsof je in een film zit waarvoor Ennio Morricone de muziek heeft geschreven." Melodicmetal (Italy): "The gloomy post-prog of Downriver Dead Men Go will certainly be able to hit the right listeners with its slow, dark, solemn, atmospheric metal / progressive. Departures is certainly a quality product, perhaps the best album of the band." Progradar: "The musicianship on 'Departures' is as fine a production as you could wish, oozing with slick, languid rhythms and blossoming crescendos. If you liked 'Tides' then 'Departures' is a must buy." Progcritique (FR): "Despite the length of some songs, 'Departures' can be listened to with pleasure, and confirms the potential for Downriver Dead Men Go as found on their first album!" Music-in-Belgium: "The second album "Departures" (distributed by FREIA) has a content faithful to the atmosphere and work of a certain Steven Wilson ... and of his projects! Post-rock, rock-atmospheric and melancholic hints are the ingredients of the musical recipe of this strange formation, which transports us into a dark and haunting universe with sometimes a progressive or alternative acceleration." Neoprog (FR): "A deep and dragging voice like that of Leonard Cohen, some sound experiments, sound effects, if you dive into Departures, you're drowning. Downriver Dead Men Go does not play to make you dance at the ball on Saturday night, be sure. Their music can cause depression or despair. Slow, sad but beautiful, Departures is listening to a rainy day." Progwereld (NL): "Het album leent zich uitstekend voor een relaxt avondje muziek luisteren, wellicht met een goed glas binnen handbereik. Collega Erik eindigde zijn recensie van "Tides" met 'Veelbelovend'. "Departures" maakt deze belofte meer dan waar. Wat een fraaie, sfeervolle plaat! Proggies (Switzerland) "The band knows how to build spherical soundscapes, to add soulful guitar solos à la airbag, to play with dynamics and to occasionally break something out of the rather quiet passages. Downriver Dead Man Go does a really good job translating their ideas and feelings in music. Great job." Streetclip.tv (Germany) "Downriver Dead Men Go will appear for human salvation and will need millions of people if millions of music lovers are to give more than a brief pleasure. Melancholy, Melanchola, the night is more beautiful than it was." ITdjents: "Departures is a great record that is moody from top to bottom, but a little trimming could have helped make this a little easier to digest. That being said, you'll not hear much better post-rock so far this year, so check it out!" Rockportaal (NL) "Het voorliggende en tweede album Departures gaat over 'verlies' in de breedste zin van het woord. Departures klinkt dynamisch, maar met het eigen, karakteristieke geluid. Sfeervolle, melancholische nummers die een trage opbouw kennen met soms een cinematografisch karakter. Departures kan dienen als tijdelijk vertrek uit het dagelijkse jachtige leven." 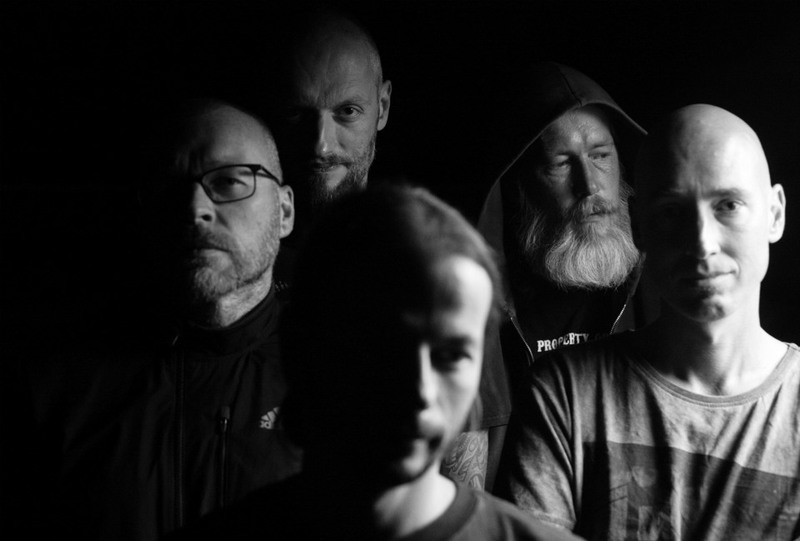 Maxazine: (NL) "Al bij het beluisteren van het eerste nummer 'Lamentation', wat eerder een uitgesponnen intro is, wordt snel duidelijk waar Downriver Dead Men Go's tweede CD 'Departures' op af gaat: duistere, beklemmende muziek die volledig gericht is op het overbrengen van een sterk gevoel van melancholie." Artrock (Poland) "Equally successful and maybe even more interesting and more mature than the debut. Album, on which the band, so far associated with the post-rock label develops stylistic wings more widely. The quintet, whose composition has not changed from the mentioned Tides, again offers music that is very romantic, melancholic and climatic. This time, however, probably definitely darker, dark and depressing."